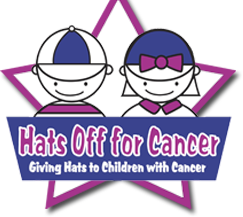 Hospitals, camps, centers, etc…: Request hats for multiple children and teens through our online form. If you are interested in holding a hat drive, email Dennis Lawrence. For media and general inquiries, please contact Tara Bracher. If you have a general comment or suggestion, we’d love to hear from you.